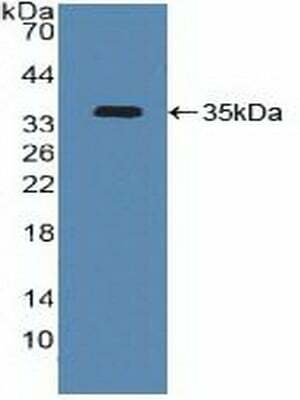 The antibody is a rabbit polyclonal antibody raised against ATF4. 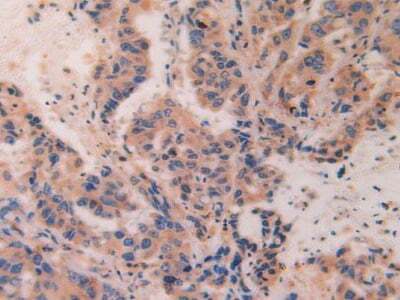 It has beenselected for its ability to recognize ATF4 in immunohistochemical staining andwestern blotting. Recombinant ATF4 (Thr130~Lys347) expressed in E Coli. Small volumes of anti-ATF4 antibody vial(s) may occasionally become entrapped in the seal of the product vial during shipment and storage. If necessary, briefly centrifuge the vial on a tabletop centrifuge to dislodge any liquid in the container`s cap. Certain products may require to ship with dry ice and additional dry ice fee may apply. Western Blot: Sample: Recombinant ATF4, Human. 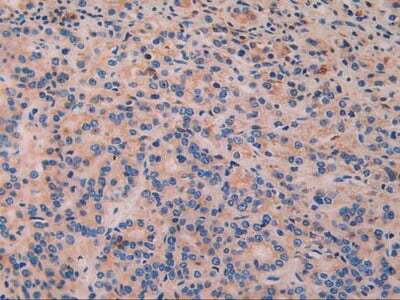 DAB staining on IHC-P; Samples: Human Skin Cancer Tissue. 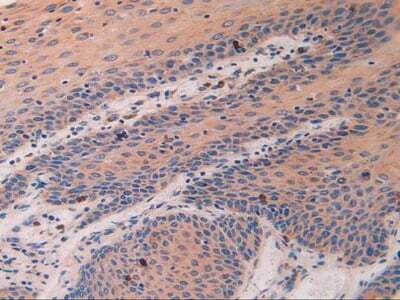 DAB staining on IHC-P; Samples: Human Breast Cancer Tissue. 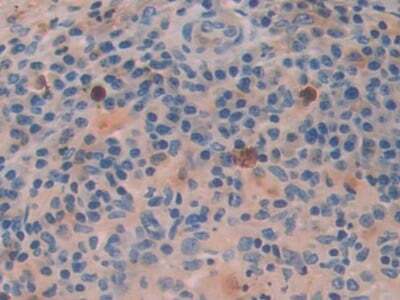 DAB staining on IHC-P; Samples: Human Prostate Gland Cancer Tissue. Transcriptional activator. Binds the cAMP response element (CRE) (consensus: 5'-GTGACGT[AC][AG]-3'), a sequence present in many viral and cellular promoters. Cooperates with FOXO1 in osteoblasts to regulate glucose homeostasis through suppression of beta-cell production and decrease in insulin production (). It binds to a Tax-responsive enhancer element in the long terminal repeat of HTLV-I. Regulates the induction of DDIT3/CHOP and asparagine synthetase (ASNS) in response to endoplasmic reticulum (ER) stress. In concert with DDIT3/CHOP, activates the transcription of TRIB3 and promotes ER stress-induced neuronal apoptosis by regulating the transcriptional induction of BBC3/PUMA. Activates transcription of SIRT4. Regulates the circadian expression of the core clock component PER2 and the serotonin transporter SLC6A4. Binds in a circadian time-dependent manner to the cAMP response elements (CRE) in the SLC6A4 and PER2 promoters and periodically activates the transcription of these genes. During ER stress response, activates the transcription of NLRP1, possibly in concert with other factors (PubMed:26086088). 1. These results suggest that p21 induction plays a vital role in the cellular response to ER stress and indicate that p21 is a prosurvival effector of ATF4.